Free supplemental education challenging students to think critically about their use of resources and be a part of the solution to many of today's pressing issues. Provided by RE Sources for Sustainable Communities, the Whatcom County Solid Waste Division, and the City of Bellingham Water Use Efficiency Program. Funding is also provided by the Mountaineers Foundation and National Oceanic and Atmospheric Association (NOAA). Contact us at schools@re-sources.org or (360) 733-8307 ext. 106 to get started today. Clean water defines who we are in Washington, and we depend on it for everything. But every time it rains, rain that falls on hard surfaces (roads, roofs, parking lots, etc.) carries pollution directly into nearby creeks, rivers, and bays. This is called stormwater, and it's Washington’s greatest source of pollution. Provided on behalf of City of Bellingham. We’ll spend 45-60 minutes teaching your students about where non-point source pollution is coming from, how it moves within their local watershed, and the effects of pollution on human and ecological health. Through modeling and hands-on, inquiry-based activities, students will develop an understanding of how we all contribute to stormwater pollution as individuals, households, and communities. Once students have a foundational understanding of the issue, students will learn strategies that empower them to make changes in their lives and households to decrease their contribution to non-point source pollution. We’ll work with teachers and schools to implement a student-led action project to help reduce non-point source pollution from being created, or being transported to the water. Action projects can include storm drain labeling, creating educational materials to share within the community, or installing a dog-waste bag dispenser on school grounds. The action projects are designed to be relevant and meaningful to the students, school, and community. 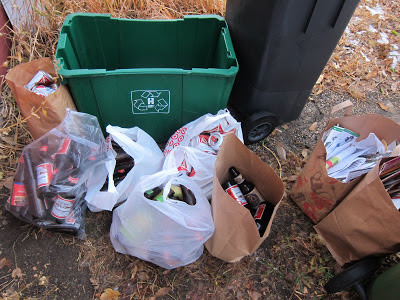 Managing garbage means more than taking it to the curb. It involves science, technology, and personal choice. Our free workshops encourage students to look at garbage analytically. Beginning with the basics and moving to the complex, our program will introduce the phenomena of solid waste, how our society currently deals with the issue, and its effect on the environment. Students can delve deeply into the causes of different waste streams and come up with their own solutions. Each workshop can be accompanied by an action project, enabling students to turn what they learned into tangible outcomes. These FREE programs use project-based, experiential learning to teach students about the importance of waste prevention, at home and at school. The program aligns with Next Generation Science Standards and gives students the opportunity to take action on a current, local issue. Provided on behalf of Whatcom County Solid Waste Division. How does our current waste management system work? How can my personal choices affect energy, land, and air quality? We'll help your students come face-to-face with the waste generated every day in their class or lunchroom by hosting a waste audit. After sorting, classifying, and weighing the waste, students will see how well their school sorts landfill-bound waste, compostables, and recyclables. Students can brainstorm ways to help promote correct sorting and waste reduction in their schools. Register today or contact us for more info. Food Foolish: Too Much of a Good Thing? How much food waste is filling up our landfills, and what can we do about it? How can we feed our soil by making smart choices with our waste? Roughly 35% of landfill waste is food, primarily thrown away by individuals or families. 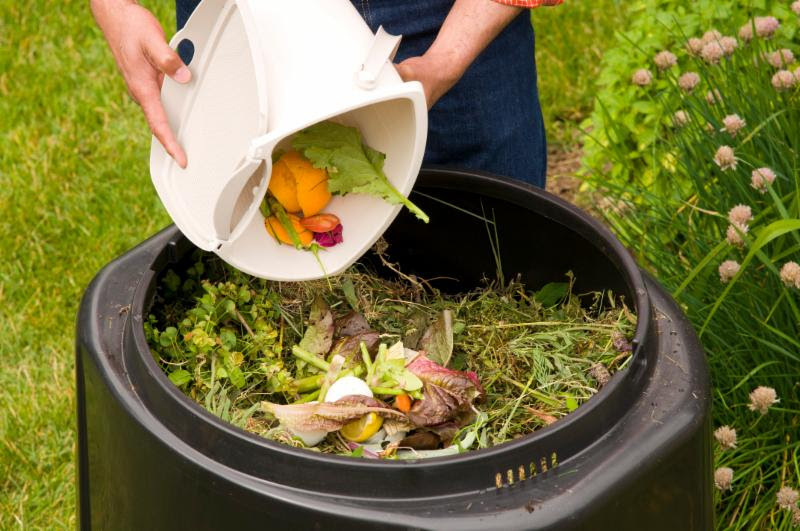 We'll help your students understand the value of composting, recognize the ecological footprint of food, and think critically about food waste. Students will brainstorm solutions for reducing organic waste at home, at school, and in their community. Register today or contact us for more info. How do our purchasing habits affect the waste stream and shared resources? How can we see through the packaging — into the real issues behind fashion, marketing, and disposables — and become wise shoppers? Students will learn about local resources to help develop action projects to up-cycle, re-use, share resources, buy in bulk, or shop smart. They can choose to advocate for awareness and change in their own circles, promote a "shop smart" campaign, or come up with creative ways to extend the life of products. Register today or contact us for more info. How can we reduce the stream of waste into landfills with imagination? Tap into students creativity as they design a project using recycled materials previously destined for the landfill. We will discuss the local businesses and organizations rescuing materials from the landfill and repurposing them, such as the RE Store, Ragfinery, the HUB, and local jewelry and furniture makers and why this is important. Students will design and construct a piece of art or functional item to help reduce the amount of garbage heading to the landfill. Register today or contact us for more info. Most of us know we can save water by turning off the faucet while brushing teeth or washing dishes. But did you know our impact on this finite resource can be lessened by the food you eat and energy you use? Our daily habits effect water consumption before even turning on the tap! Starting with the water cycle and our local watershed, students will gain the understanding of their direct and indirect impact on our most valuable resource. Through project-based, experiential learning, students will leave with the understanding of how to make a positive change at home and in their community. This program aligns with Next Generation Science Standards. Provided on behalf of the City of Bellingham Water Use Efficiency Program, for schools within city limits. Geared toward middle school students, our interactive workshop connects students to current issues of water conservation by introducing the myriad of resources required to filter and move water from Lake Whatcom to the tap, and from the tap to the ocean. Students will engage in an interactive activity illustrating how water is a finite resource and how access to water is distributed. Students will apply this learning to their practical lives by taking a look at their own daily water use, including less obvious uses like clothing and food, using a personal water consumption calculator. Learning is deepened by asking students to make a change to their personal consumption, track how their usage changes, and calculate their savings to report back to their peers. This lesson can be integrated using the One to One technology. Our Young Water Stewards program teaches high school students in rural Whatcom County the science of clean water, and how they can keep our water resources clean. Through stewardship activities, hands-on learning, and a science-based approach, high school-aged participants will gain experience with water quality testing and analysis, Best Management Practices, and mitigation techniques to develop valuable skills and apply their learning to protect the health of our drinking water, creeks, lakes, and beaches. Students will learn about watersheds, sources of non-point water pollution, and the complex barriers to clean water. Students will take a tour of several areas within their local watersheds, conducting water quality sampling at diverse locations. This program includes three in-class lessons, one or two field trips to tour the local watershed and perform water quality sampling, and a stewardship or culminating project; for a total of 3-5 class periods. Provided with support from National Oceanic and Atmospheric Association (NOAA), for schools in Whatcom County. Contact the Sustainable Schools program at schools@re-sources.org or (360) 733-8307 x106. You can also register online for water conservation and waste education courses.